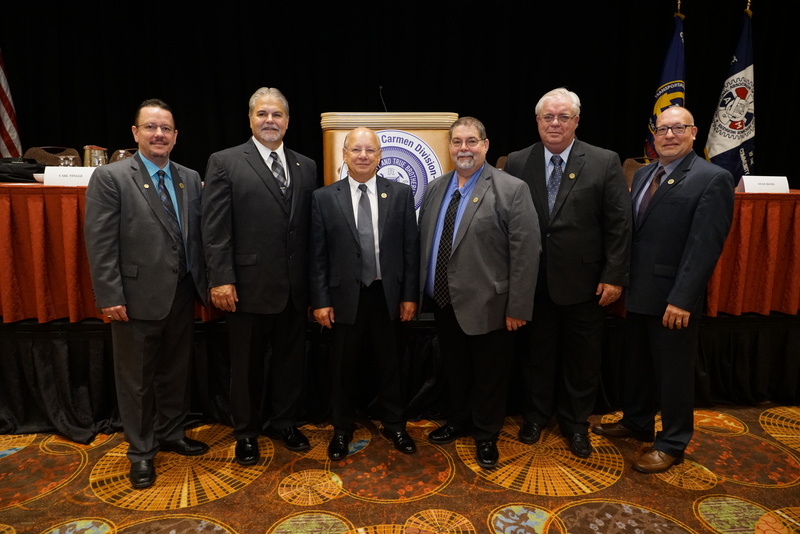 Newly elected Carmen Division Officers – Carmen Division President Rich Johnson, Assistant General President Don Grissom, General Vice-President Carl Lakin, Carmen Executive Board Chairman Kevin Loftin and Carmen Board members Robert Keppen and Darren Trieber. In a show of strength and unity, TCU National President Bob Scardelletti nominated Carmen Division General President Rich Johnson to another term. 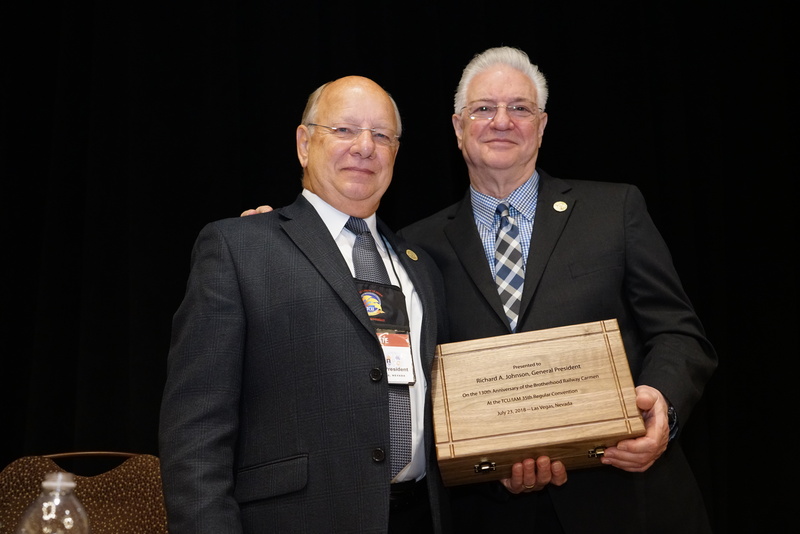 President Scardelletti presented a gavel to Carmen President Johnson and stated how the strength of the Carmen division helped President Scardelletti win his first Presidential election in 1991. In true unity and solidarity Rich Johnson and Assistant General President Don Grissom were elected unopposed by acclamation. Every Carmen Division General officer was elected to office by acclamation. The unity displayed today clearly showed how strong the Carmen Division has become. That strength will flow into the TCU Regular Convention beginning today.